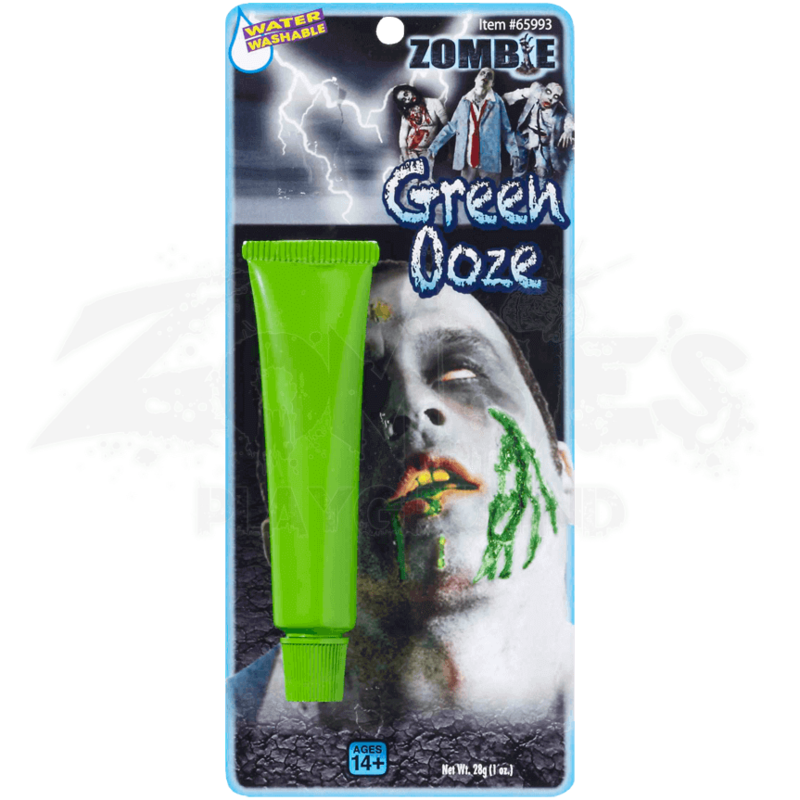 Green Zombie Ooze has a variety of uses that complement a zombies appearance. It looks great when added to wounds, giving them a slimy, green appearance. Or you can apply it directly to your zombie for other creative reasons. For example, you can use this green ooze to create a wet, mossy look that makes your zombie appear as though they just climbed out of their grave. Add more and you can make your zombie look like they belong in the swamps and bayous of the south. You could even use it as zombie bile or oozing zombie blood! Green ooze is water soluble and can be washed off with warm, soapy water. Each tube contains approximately 1 ounce of thick, green ooze. There is not a zombie alive that could not benefit in some way from a little dab of Green Zombie Ooze, whether it is a strange puss from an infected sore, the wet moss that coats their skin, or the thick, infected blood that seeps from an open wound.